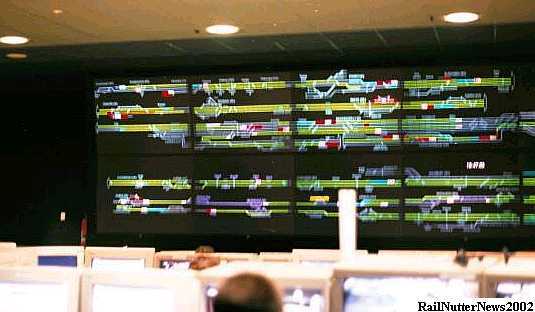 QR's space age train control centre in Brisbane is the heart of a modern rail coordination system first conceived in 1979 and completed in its present form in 1998. 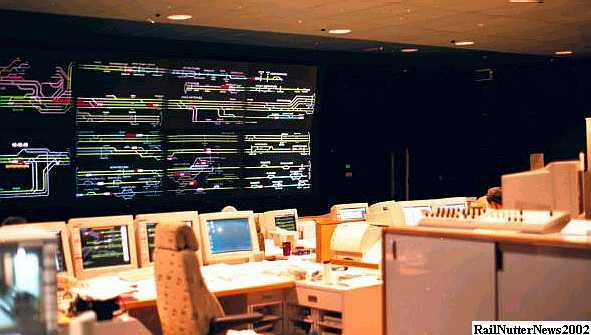 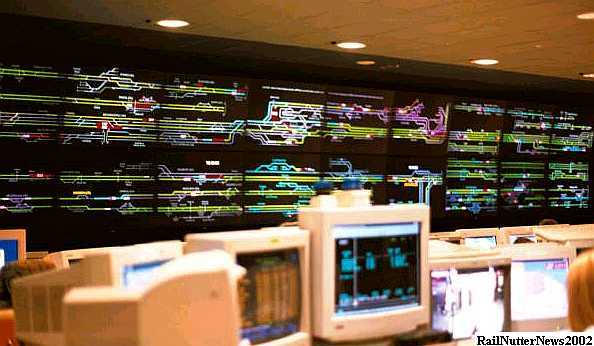 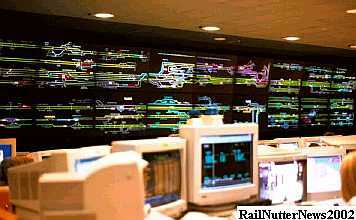 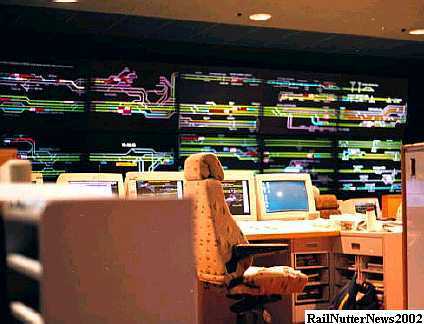 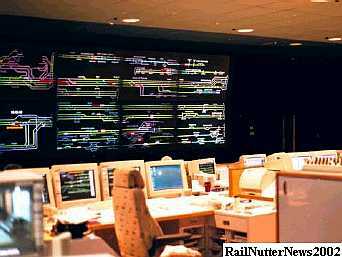 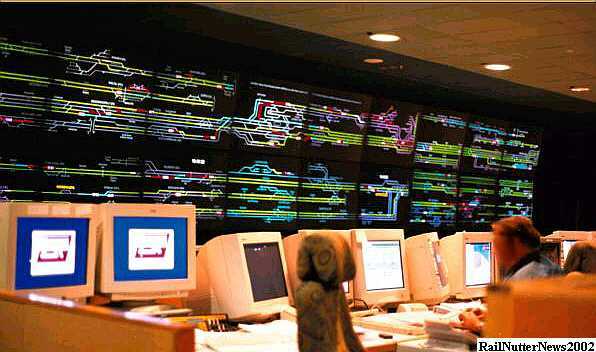 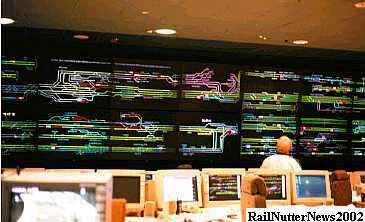 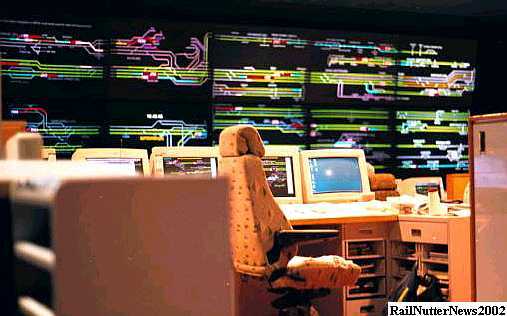 The Suburban Train Control Room, shown at left, encompasses most train movements over an area of 258 route kilometers, controlling 669 points (switches) 1916 routes, 60 road crossings, 1069 signals, and 1812 track circuits. 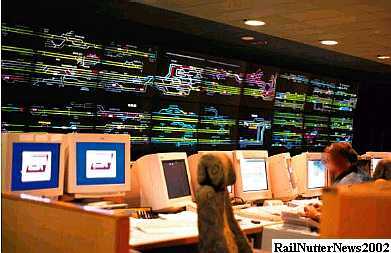 UTC (universal traffic control) enables the centre to operate with integrated signal and train control functions. 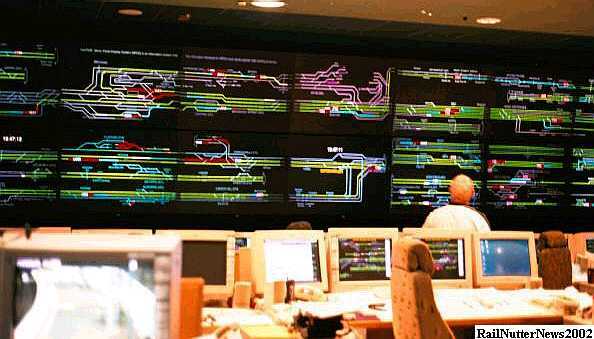 Twenty rear view video projection screens display a schematic view of Brisbane's Citytrain system. 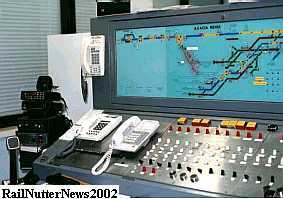 The workstations on the arched tiers include cetralised: train controllers, passenger service officers, control supervisors, signal electricians, train performance monitors, security monitoring officers (electronic ticketing machines, CCTV, and security incidents), Rolling stock defects coordinator (coordinates repairs and replacements to Citytrain fleet while in service), electrical control officers(regulate 25,000V 50Hz AC feed to overhead wire in metro area as well as North Cost Main Line) and the Citytrain control superintendent (Mgr. 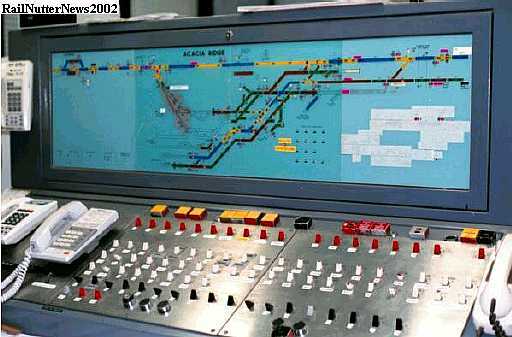 Metropolitan Control and Safeworking. 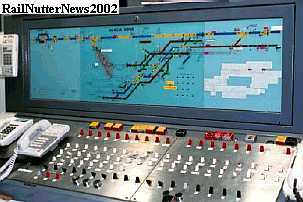 Information above paraphrased and excerpted from Mayne Control informational sheet. 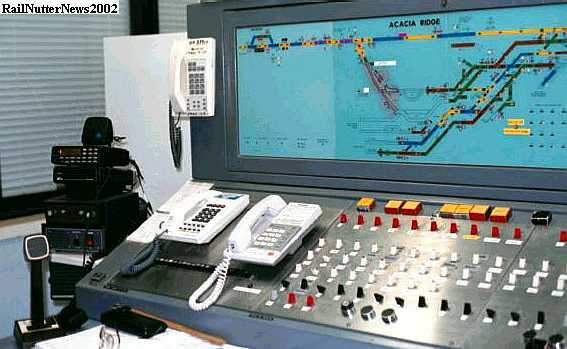 Acacia Ridge is Brisbane's interstate freight terminal and primary local freight yard; operating on two gauges, narrow and national standard. 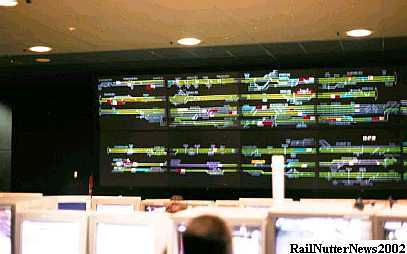 As bogie exchange is not possible, intermodal freight containers are transhipped here.